With more than 1.8 million mu (120,000 hectares) of coffee plantations, Yunnan province yields 150,000 tons of raw coffee beans annually, accounting for 98% of the total output in China. In recent years, Yunnan coffee has been raising its international influence, while helping lift coffee farmers out of poverty. Zhao Mei, a girl from Wa ethnic group, is a second-generation coffee grower in west Yunnan’s Pu’er City. On behalf of the local growers, Zhao communicated with her peers from Colombia and other countries in a forum during the 2nd Pu’er International Speciality Coffee Expo on March 14. Zhao Mei's family manages 5,000 mu (333 hectares) of tea and coffee plantations. "We've been growing coffee for nearly twenty years, but we didn't drink coffee before. We thought it was too bitter," she said. Traditionally, coffee beans were planted and sold in an extensive manner in Zhao Mei’s hometown, leading to weak competitiveness in market. To raise the level of technology, brand awareness and market share, efforts have been made under governmental guidance. Coffee farmers are encouraged to learn advanced planting techniques and sales knowledge through professional training, and participate in international exhibitions and competitions. In addition, Yunnan has built platforms including coffee expositions, international coffee trading centers, national key laboratories and coffee innovation centers. 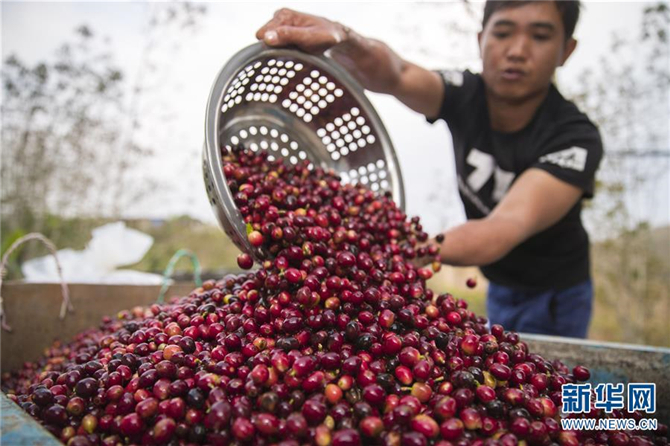 "The price of fresh beans in the first quarter of 2019 is three times higher than that in the previous quarter,” said Wang Jian, a coffee grower from Pu' er. Recently, quality appraisers from nine countries including the United States, Germany, Japan and Australia, did a cupping test for 133 kinds of beans from six coffee producing areas in Yunnan. And the result showed that 95.49% of the beans are excellent in quality. Now, more and more international coffee enterprises have established production bases in Yunnan.